We had put it off as long as we could. We never used it, but now it was getting dangerous. We had to replace the deck. 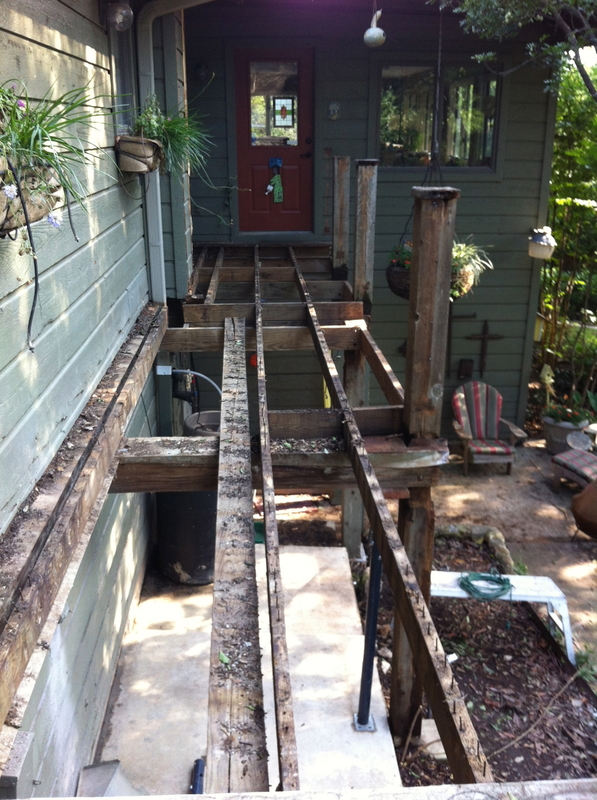 It was never really a deck anyway, just a walkway that led to the backyard stairs. It didn't make sense to replace it with what we already had, so we decided to replace it with something we would actually use. This was not a job I was going to tackle, so I called my contractor and gave him my design plans. The demo of the old deck. The shape of the new extension to the old walkway. The old walkway came straight out from the door. The extension is everywhere you can see the new wood. 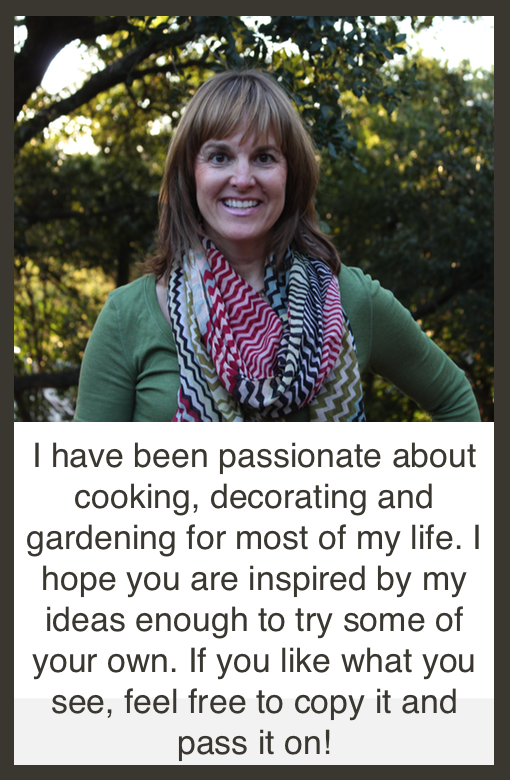 My best design advice is to think about how you will actually use the space you are designing. I really wanted an outdoor dining area, but the space it was going to take up meant that we wouldn't have as much seating area. We knew that most of the time we spent out there would be just relaxing, not eating, so the dining area was scratched from our list. The other important factor to consider is what it will look like from the inside of the house as well as from the outside. You will notice that I kept a portion of the walkway that leads from the door. If we had expanded that area we would have had plenty of room for the dining area I wanted, but the view out of my kitchen window would have been blocked. I would much rather look out at my beautiful yard than at a deck. View from my kitchen window and from the playroom. One of the best design decisions I made was to use bull netting for the railings. It is almost invisible and it's surprising how much of the view a wood railing blocks. We are thrilled with the results and have used it more in the past 2 months than we ever used the walkway in the previous 12 years! Posted in Outside The Home and tagged with bull netting, deck.